Telecoms groups label the new EU code a "missed opportunity"
The European Union has agreed a series of updates to the European Communications Code (ECC) which it claims will help improve connectivity across the continent and fulfil the ambitions of the European Digital Single market. However the new regulations, the first major overhaul of the ECC since 2009, have attracted strong criticism from the telecoms industry which claims they do nothing to promote investment and are a missed opportunity. The ECC promises to enhance 5G rollout by ensuring the availability of spectrum by the end of 2020 and by giving operators certainty with 20 years licensing. It also relaxes rules of the co-investment in fixed infrastructure and extends consumer protections to all forms of communications technology. However mobile industry body the GSMA declared the new code a “political compromise” that fails to confront the long-term challenges in the European market and could see it fall further behind in the race to 5G, particularly with regards to spectrum harmonisation and investment certainty. 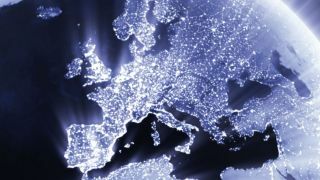 The European Telecommunications Network Operators Association (ETNO) claimed the changes added unnecessary complexity. Indeed, it suggested the additional price regulation was a “smokescreen” to distract from a lack of meaningful progress and urged national governments to step in and aid the industry. Industry observers noted that the additional price regulations appeared to contradict the goals of the EU by adding more rules and that co-investment measures weren’t satisfactory. “Very often, when regulatory measures are widely criticised and seeming leave everyone unhappy, it often means policymakers have probably struck the right balance,” said Luca Schiavoni, senior analyst at Assembly. “One winner however does seems to emerge and that is the wholesale-only model. Under the code, wholesale-only networks will benefit from less burdensome regulation. If this results in more wholesale-only networks across the EU, at least it will mean the end of the eternal headaches caused by the existing framework on wholesale access regulation, which has proved very hard to get right and to police across all member states. However, the challenge here will be to ensure that competition at the infrastructure level becomes (and stays) healthy."